Which one of the many Madrid museums do you want to visit? Where do your interests lie? One asks as the sheer volume of museums is astounding! Perhaps you are interested in the Spanish naval history museum; Spanish Armarda, Christopher Columbus and the Spanish main? If so you are in luck as you do not even need to leave the centre of the city. Maybe your interest lies instead in Aviation and you want to see the Museo del Aire located in the south of the city with its planes from the Spanish civil war and before? However after flying into Madrid you have probably had enough of aeroplanes! As there are so many museums in Madrid and also due to their fame Madrid museums relating to ART are located here! Description: Museum of money! History of coins and banknotes. Description: Museum of art and telephone technology. A journey charting Spains communication history. Opening times:WINTER T-S 0930-1430.Su 1000- 1400. SUMMER T-S 1000-1430. Su 1000-1330. Description:A Madrid museum containing a collection of art & archeology from the Spanish nobility donated to the city. Description: Spains history on the American continent. Florida sale, Conquistadores and more! Predonminately science based. Description: Madrids Wax Museum - Very central and good for kids! Description:Madrid city museum. The city´s history from inaguration to today. Watch the city evolve with pictures, artefacts and movies. If you are on a budget the best time to visit Madrid museums is Sunday morning. Some are free at this time and others have special reduced entrance prices! Description:The history of Spains paramilitary police force. Description:Museum dedictaed to Madrids Patron Saint & housed in the house in which he lived. Description:The Museum of the Spanish airforce. Little known fact is that the German aircraft in the epic film "Battle of Britain" came from this museum. Description:The Museum of the Spanish Army. Weapons, Uniforms Machinery and history. Opening times:WINTER T-S 1000-14.00 & 1600-2000 Su & H 1000-1430. SUMMER T-S 0900-1500. Su & H 1000-1430. Description:National museum of Science & Technology. An extensive collection. Description:Museum of the Spanish Navy and all things maritime. 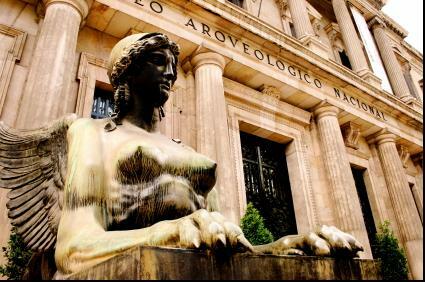 Description:The Spanish National Astronomy society´s history incluiding artefacts. If you are finished with Madrid museums? Click here to return to Madrids Attractions!